l remember seeing Hoopz on Flavor of Love back in the day and thinking, how can someone so beautiful be on this show? 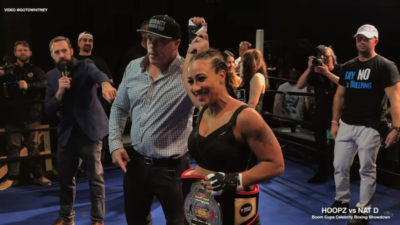 Fast forward 12 years, Hoopz is still fine, but why is she doing celebrity boxing? Nevertheless, Hoopz has hands for someone named Nat D.